The Writer's Chatroom presents Elizabeth Zelvin. 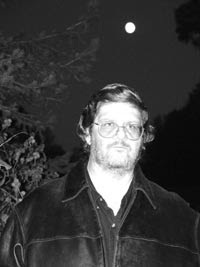 The Writer's Chatroom presents W. D. Gagliani. Fifth century mastery spy, Marcus ap Iorwerth, enjoyed being the go-to man for ferreting out information. He is a master of disguise and was trusted by many for thirty years. But now he knows too much about everyone and one slip of the tongue can mean his death. During this time if King Uther, Marcus constantly blends into the landscape to find answers to looming questions that give men power. Uther's teenaged son, Arthur, is next in line to the throne most people think will be available with Uther's pending death. Marcus supports Arthur moving into his rightful place, however Marcus' wife's psychic visions forecast the toughest battle and not the most pleasant outcome. Novelist Kathleen Guler presents a clear portait of this historical time period and the people who lived it. Her combination of verifiable research and use of myths from the time period are woven together to create a story from the perspective of other characters living in the time building up to King Arthur, Merlin, and the Knights of the Roundtable. Kathleen Cunningham Guler is the author of the award-winning Macsen's Treasure series that includes Into the Path of Gods, In the Shadow of Dragons, and The Anvil Stone. She studied Celtic history and Arthurian legend for almost thirty years in the U.S. and Great Britain. 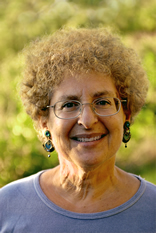 She has published numerous articles, essays, reviews, short stories, and poetry. 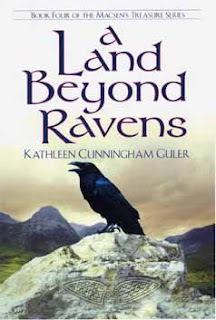 A Land Beyond Ravens, the fourth and final book in the Macsen's Treasure series, is a recommended read for anyone interested in Arthurian legend, mystery, spy, adventure, or romance. Sometimes you just know you’re right even though everyone, including professionals, say you’re wrong. Or worse, they try to convince you that you it’s all in your mind. Organ of Pain talks about experiences endured and lessons learned on various topics in a bold and straightforward manner. It includes Brad Ryder’s literally painful, six-year journey from finding someone who could give him an accurate diagnosis for erectile dysfunction to finding an acceptable treatment he could live with. The book also shares experiences with family, personal, and business relationships; transitioning through several careers, and how one man continued to find the strength to persevere along unpleasant paths. Other books may be available on the topic of erectile dysfunction; however, none are as direct and heartfelt as Organ of Pain. Ryder puts himself on the page, not to whine about his misfortune, but rather in the hope that someone else may be able to relate to some of the circumstances and take comfort in knowing someone else has been there. Life may not be perfect, but each of us has to come to terms with our circumstances in some manner. Brad Ryder lives in Keene, New Hampshire, with his wife Joan. 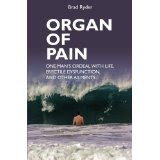 Organ of Pain: One Man’s Ordeal with Life, Erectile Dysfunction, and Other Ailments is his first book. Organ of Pain is not for the faint of heart or squeamish, but I recommend it to anyone who doesn’t want to feel alone in their personal life struggles, whatever those may be. 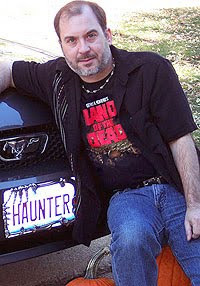 The Writer's Chatroom presents John Everson. If you like zombies, I have a book for you! It's full of poems and short stories and, yes, zombie-based recipes. I can't unbiasedly review it since I have a poem and short story in it, but I can point you to some reviews and our (the contributing writers') website and you'll quickly see how much you want to check this book out. After you learn about the authors and read story synopses I dare you to not want to see what is behind the cover. 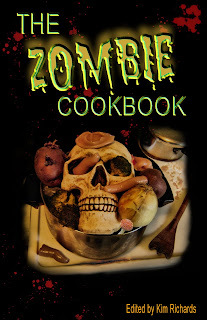 We're having a Virtual Book Tour to promote The Zombie Cookbook too. Check out dates and web site locations. Come chat with us! I'll be interviewed here and here on Oct 9th. Other sightings throughout the month. Hope to see you!